Over the past five years working as a young person’s counsellor I have come to recognise how much our young people are being shaped and impacted on by their school environment. Sadly more often than not their deteriorating mental ill-health is directly linked to the school system and the ever increasing focus on academic outcomes. Through 1:1 counselling I’ve come across countless insightful, emotionally articulate and creative young people who feel invalidated by their school experience and struggle not to fall in to a trap of negative self-esteem. At times these young people are savvy to the fact that it is not so much their failing but a failing of the system itself, however they feel adrift in knowing how to change their circumstances and often feel alone in what they are experiencing. My work frequently involves supporting teenagers to affirm and validate themselves for who they are regardless of the messages they are getting in their learning environments. That they can still have a successful, happy and meaningful life even if they don’t get 9’s at GCSE! 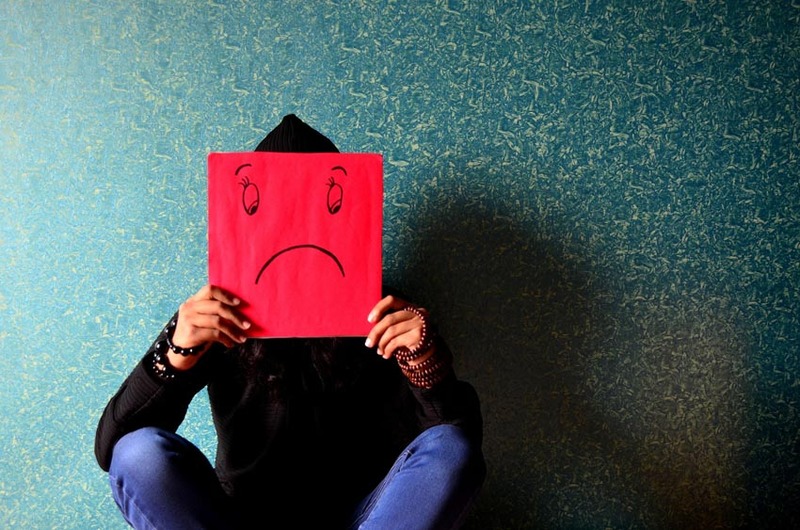 The reality that so many teenagers feel so negatively about themselves because they are being judged predominantly on their test results is both maddening and saddening. What more can be done I ask myself to support this next generation to flourish and to grow in to the fullest expressions of themselves…? I write this now because the tide seems to be ever increasing. The number of teenagers coming through my counselling room with stress, anxiety and depression is growing. Many are internalising the idea that they are ‘not good enough’ and this at times is leading to destructive and self-harming behaviours. Environments impact on us, and my real sense is something fundamental needs to be addressed within the system if we are to begin to turn the tide on our young people’s deteriorating mental health. As adults more often than not have a choice about whether we stay in a job or move on. Most young people don’t have this option with school. I can teach the teens I see strategies to help them manage their anxiety, stress and depressive feelings; provide a place for them to feel heard, validated and understood but if each day they have to get up and go in to an environment that doesn’t affirm a large percentage of who they are we are both fighting a loosing battle. I am witness to such maturity, wisdom and self awareness in the young people I come in to contact with through my work. What shines through in the opportunity to be seen for who they are truly inspires and heartens me. Surely there is a way we can provide spaces and adapt our schools to allow more young people to be recognised and validated beyond just their intellectual capacity? The future we are heading towards is an unknown in so many ways, the jobs of tomorrow will little resemble the jobs of today yet we continue to push our children through an antiquated system designed for an old paradigm. Climate change, austerity and an uncertain job market surely means the focus needs to be much more on future-proofing our young, supporting them to find ways to foster resilience and nurture their self-esteem and creativity as opposed to the regurgitation of facts?! I don’t think I as an individual have an answer to this. It just felt important to bring to the fore what i’m experiencing in my work in respect and acknowledgement of the many young voices i’ve heard over the years. Facilitating ‘conversations that matter’ in the counselling room can go some way towards supporting them to gain perspective on the challenges they are experiencing, helping them find ways to get through school with their self-esteem more intact, but I desire more than this for them. I would like to advocate for more opportunities to have meaningful conversations with our young generation. Whether that be through the practice of active listening on a one to one basis or through school based focus groups that allow young people to feed in to the re-shaping of their education to cater more holistically to them as developing human beings. If you are a parent and feel called to action I would really encourage you to write to the headteacher of your local school with your concerns asking how pastoral and mental-health support is funded? You could also ask for evidence of ACTIVE school strategies (strategies that encourage arts/apprenticeships and vocational learning), as a counterpoint to league table and grade expectations. Similarly write to your local MP and or the press expressing your concerns; for at the end of the day the well-being of our young really is a collective responsibility! Nikki Simpson is an accredited person centred counsellor working in private practice. She holds a post qualifying diploma in counselling children and adolescents and has formerly held the post of school counsellor in a Gloucestershire school. As we approach the months of revision and testing it is easy for young people and parents to get caught up in the near hysteria that can surround GCSE and A level exams. I thought it might be useful to take a look at some tips for staying healthy during the exam season. Many of the young people who come to see me when I work in school are encouraged to over-prepare! This can result in anxiety and perfectionism with lots of worry if even a grade is dropped in a class test. The other common response is the ‘rabbit in headlights’ where students isolate themselves in their rooms (often with many hours spent on gaming or online chat) and can’t find a way to tell parents or teachers that they are behind with course-work or revision. There is a lot of pressure on teachers and school leaders to produce good results and this is passed onto the students. Teachers, parents and students are all in a system that can be very rigid and unforgiving of the individual needs and quirks of adolescents. This includes the anxiety that many parents carry around of their own experiences of school and exams. 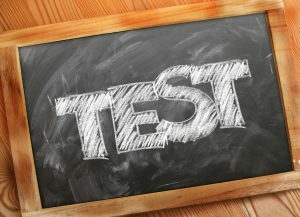 Now that GCSE exams are being taught and sat as early as year 9 in some schools, there is a smaller and smaller window for learning for the simple fun of it. 1. A break after school with something to eat and drink and maybe walking the dog or interacting with the family socially. 2. Revision away from the bedroom so that young people experience being part of the family and parents can interact and check-in. 3. Regular, calm conversations about how things are going and deadlines that may be approaching. 4. A clear system of revision and reward set up with the young person so that work is achievable in segments and the brain then regularly experiences resulting activity through the dopamine reward system. 5. Space for nonjudgmental communication about progress and targets. Many young people talk of ‘letting down’ parents and teachers if they feel they are not doing well enough. This can lead to the blurring of realistic achievements through high levels of unrealistic expectations that often trigger the “fight and flight” response in the limbic area of the brain. These anxious responses can shut down a student or drive them to over-working. In both cases a technique such as CHUNKING can bring perspective. 6. CHUNKING is a realistic conversation about what needs to be achieved/ dates and deadlines/how a student feels they are going to get there. BBC “bite size” or revision sessions held at school. What you are trying to do is to stem the tide of overwhelming feelings into manageable chunks. Encouraging students to revise for the earlier exams first and then physically removing them from a board once sat can be liberating for everyone! 7. Perspective-Students are often led to believe that these results will be the end of the world if they don’t succeed at the highest level. Have regular conversations with them to bring perspective. Talk about multiple pathways to achieve what they want to, expanded time-scales, re-sits, and the concept of “good enough” . 8. As long as a young person is working well and to the level that they know they can then it is what I call “good enough”. This isn’t to discourage hard work and moving beyond personal expectations- but not all YP suit exams and exams aren’t a test of intelligence under current curriculums – they are more a test of memory. Try to help your adolescent untangle their real self from what they achieve. This is healthy practice for their whole life! Children learn to read– sometimes even before formal schooling. Children learn their ABC . They might learn their phonemes, and learn to refer to curly cats and kicking kings. This way, when reception class beckons, they can read instructions and access the curriculum. But how many children learn to read their bodies and access the messages portrayed this way. As a Play Therapist, I work with children. I have a private practice but I also work in schools. And in most of the schools I have been, there is a room for the pupils who need extra input for reasons emotional or behavioural. In this room there is usually a poster which depicts ‘Feelings’. Which asks How are you feeling? Generally, this poster is illustrated with faces and expressions. Faces. I think of ‘making faces’… or ‘putting on’ a sad face. The way we might smile and answer I’m fine, even if we’re not. But our bodies, in their wisdom, express. They give form to messages that come from a deeper place within. What if children were invited to tap into this fountain of knowledge. To listen to their own pulse, the rhythm of their heartbeat; to the messages, the language–or dialect, rather–unique to Self. Body Language. When we learn, 70% is through what we see. It makes sense. From infancy, we learn through the signals we pick up from our carer’s bodies. For better or for worse: the well cared for infant thrives in the attention of the carer, who leans towards the baby with interest; not so for the infant whose carer turns away, or leans in with hostile intent. The carer who puts words to bodily feelings helps the infant over time to realise that ‘the way I feel’ is called ‘hungry’ (and that food will soon follow!). Soon the toddler will learn to use this word to communicate their bodily state, instead of using the same code (crying) for being hungry, tired or hurt. “Hi, how are you?” and the answer comes quickly: “Fine” or “I’m good” or “OK”. We go to dentists for ‘check ups’…we go to the GP for a ‘check up’ but how often do we ‘check in’ with our own bodies. The more we, as therapists, educators, parents do this, the more we can bring this consciousness to our clients, pupils, children. Can you sense every toe on your foot? It can be a grounding exercise to just ‘sense your feet’ for twenty seconds… go ahead, try it. I want to extend the invitation: next time you sense a body message, in yourself or see it in the child(ren) you work (or live) with, work with that. Sense. Listen. Feel. Back to the emojis on the poster. Or the phone. They are fun. But they don’t communicate the real feelings. For that, you can’t use a smartphone. You need to tune out of the apps and tune into the unique language of your body. This way, as we grow up and older, we will ‘keep in touch’. We will stay fluent in the dialect of our own bodies. Emotional first aid kits for teenagers: Most of us have about the house a first aid kit in case of emergency – a kit containing plasters, badges, antiseptic and the like. But how many of us have thought about creating an emotional first aid kit? 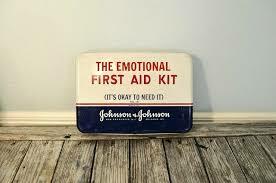 When I work with young people in counselling I often talk about the value of creating a first aid kit for their emotions. Thinking together about things that help or could help when they feel stressed, worried or low. As as adult who was once a teenager myself I clearly remember days when I felt down, self conscious and anxious. My tendency in these situations was to end up dwelling and ruminating and ultimately feeling worse about about myself. In Cognitive Behavioural Therapy (CBT) there is a useful diagram referred to as the thoughts, feelings and behaviour cycle. What we think about ourselves in a situation has an effect on how we feel which dictates our reaction. If we feel low, our thoughts about ourselves are often negative and our resulting behaviour is likely to reflect this. Thinking together with a teenager about the challenges they are facing in their lives and the ways they currently deal with their feelings is a starting point. If they are stuck in the cycle we might think about what they would like to be different, focusing on what makes them feel good about themselves. I often introduce the idea of the emotional first aid kit at this point*. Does the young person have any hobbies, what activities do they enjoy – how do they feel when they are doing these, who do they trust to talk to? What do they do to relax? What makes them laugh? Are there any special places they spend time in. After a short while of discussion there are usually a good number of ideas that help; from talking to a friend, drawing, listening to music, to going out in nature, cooking, having a bath and watching funny clips on Youtube! Alongside ideas that are specific to the young person’s interests I also may also introduce mindfulness and grounding techniques and quite often these end up on the emotional first aid kit too. Once the kit is completed the young person may take a photo of it on their phone – ensuring they have it to hand to refer to in case of emergency! Why not have a go creating one for yourself! *From Margot Sunderland’s brilliant book Draw on Your Emotions. The importance of relationships to our well-being: This week 16th – 22nd May is Mental Health Awareness week. The theme this year is ‘Relationships’, with the team at Mentalhealth.org advocating that we urgently need a greater focus on the quality of our relationships. I’m so behind them on this – understanding just how fundamental relationships are to our health and well-being is absolutely key to improving our mental health. We cannot flourish as individuals and communities without them! Today is self-harm awareness day and we at Umbrella want to get the word out. 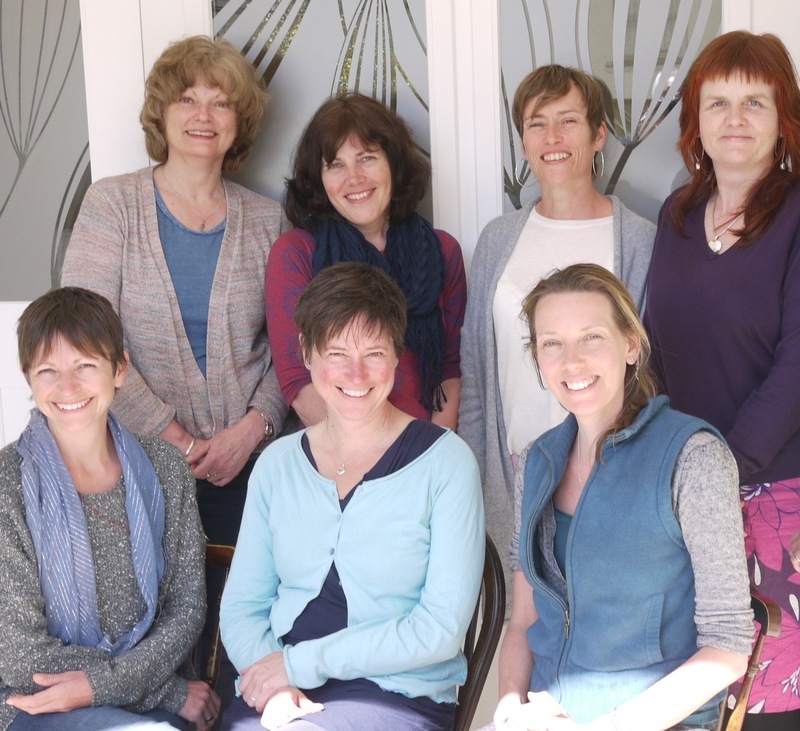 Coinciding with Mental Health Awareness Week, a group of Gloucestershire therapists and counsellors are launching a new support service in the area. Umbrella offers creative and talking therapies to young people and their families, as well as support for other professionals in education, mental health and social care. The Umbrella website provides online information about these services. “Although we each work independently and offer different approaches (Art Psychotherapy, Play Therapy, Counselling, Psychotherapy) we were drawn to the idea of offering our services all under one ‘umbrella’. Our user-friendly website makes it simple to find a therapist or counsellor, whether you are a parent looking for support for yourself or seeking someone to work with your child, teenager or young adult” says Nikki Simpson initiator of Umbrella. Umbrella provides for all ages, from birth to adulthood, as well as parenthood. Lin Revington works with infants and their parents around attachment difficulties and specialises in trauma work with young people; Petro Sollé uses Play Therapy with children from ages 3 , and Saira Todd takes referrals for Arts Psychotherapy for children from 5 years old. Teenagers are specifically catered for by Nikki Simpson and Rhiannon Duggan who both specialise in counselling for 11-18 year olds, whilst Alida Roberts works with ages 13 upwards, as well as parents. Parents can also choose support for themselves. This support is available on a one-to-one basis, or in small groups where each parent can address specific issues, or learn to build and enhance the child-parent relationship. 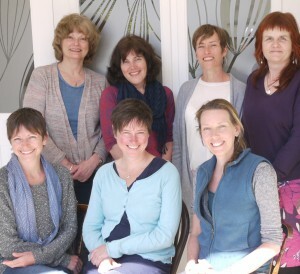 “What we envisage is that people will feel free to contact any one of the therapists for an initial conversation, we can then signpost you to another member of the Umbrella group if that feels more suitable” says Sarah Anderton, an experienced parenting coach and the contact for Umbrella’s professional enquiries. To tie in with Mental Health Awareness week (mentalhealth.org.uk), Umbrella hopes to bring the message across that there is, indeed, “No Health without Mental Health” and hopes that as a society, we can grow more and be more able to ask for –and accept– support at the point when it is most needed. The Mental Health Foundation offers the following advice to parents: Children and young people’s negative feelings usually pass. However, it’s a good idea to get help if your child is distressed for a long time, if their negative feelings are stopping them from getting on with their lives, their distress is disrupting family life or they are repeatedly behaving in ways you would not expect at their age.